Maura Holm, OMS-I, receives her white coat from Dr. Mike Mitov, Assistant Professor of Physiology at ICOM. 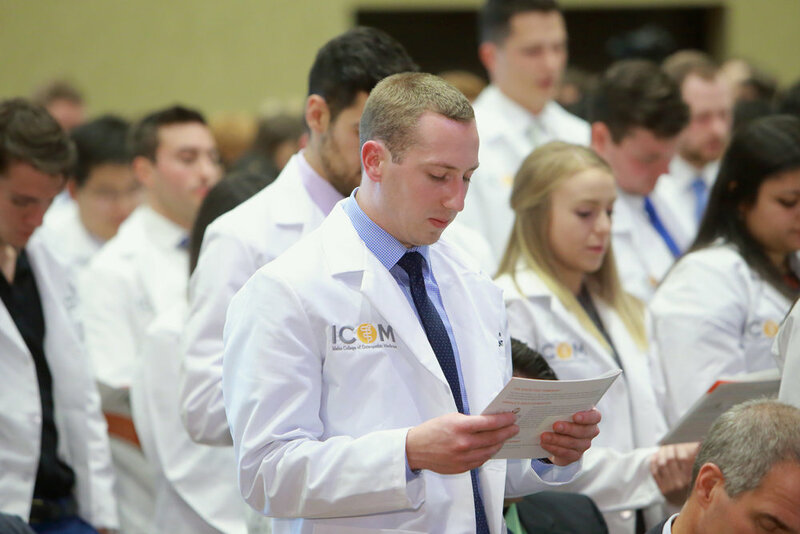 The White Coat Ceremony is designed to establish a psychological contract for beginning medical students that stresses the importance of compassionate care for the patient and professionalism, as well as scientific proficiency. Each student will receive a white coat donated by Mattie and Tony Bendall, faculty members of ICOM, during the ceremony, held at Boise Centre East.